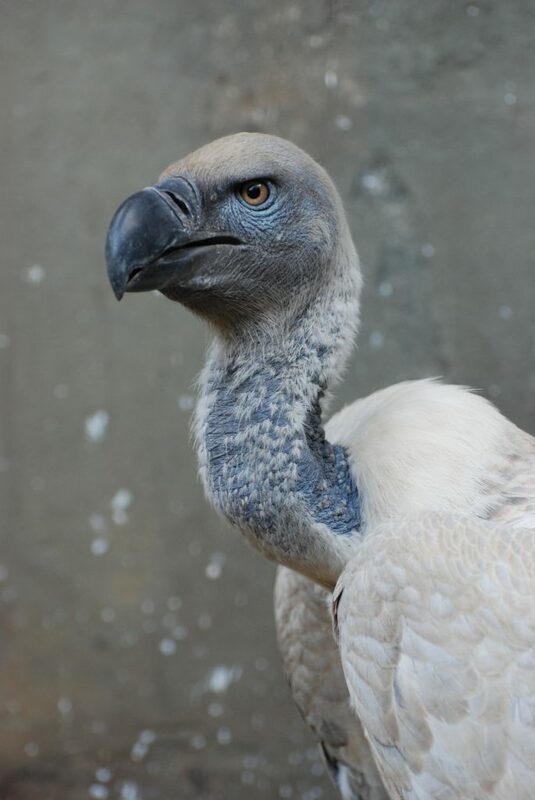 One of the largest southern African vultures with a total length of about 106 cm and is the lightest in colour being mostly whitish grey above flecked with brown. The outer black primary feathers of the wing, the 12 tail feathers (in other species of this genus there are 14) and the inner dark brown secondary feathers contrast sharply with the lighter colour of the rest of the body, both above and below. The brownish crop section is surrounded by white down while the rest of the ventral parts range from brown to cream to stone becoming lighter on the wings. The blue grey head and neck are sparsely covered with white down but at the base of the neck there are a few rows of long feathers forming a grey- buff collar. The bare face is bluish grey, the eyes yellowish brown and the feet grey. Apart from a slight size difference (female larger) there is little difference between the sexes making it difficult to differentiate between males and females. Widespread in southern Africa where it can be found in open grasslands and woodlands, from sea level to very high mountains provided there are high cliffs to breed on. They can, however, roost on trees and pylons far away from their breeding sites. They often feed in large groups, mostly on freshly dead animals. There does not seem to be a set breeding season but it takes place mainly between March and January. They nest on cliff ledges in communities of at least 6 pairs. The nest can vary from elaborate with lots of vegetative matter to almost bare with just a few sticks. The female lays one egg which both parents incubate over a period of 57 days. The nestling period is between 125 to 171 days, but the young bird is dependent on both adults for food for up to 221 days. The young birds normally form groups to forage and roost some distance from their breeding sites. Interactions between the different populations therefore do occur. Endemic to southern Africa, but a few individuals have been recorded from Zambia. They are now mostly found in two regions: North West/ Limpopo Provinces and Lesotho/Western KwaZulu-Natal/Northeastern Cape. There are small remnant breeding populations in the Western Cape and western Swaziland and non-breeding groups in Namibia and southern Zimbabwe. The change in land-use patterns has had a major negative impact on the distribution and has led to a drastic decline in numbers of the Cape Vulture. Drowning in reservoirs, especially in the more arid parts of their distribution. Electrocution on electricity structures or flying into power lines have also been recorded. The successful husbandry of livestock also leaves less dead stock for them to feed on. 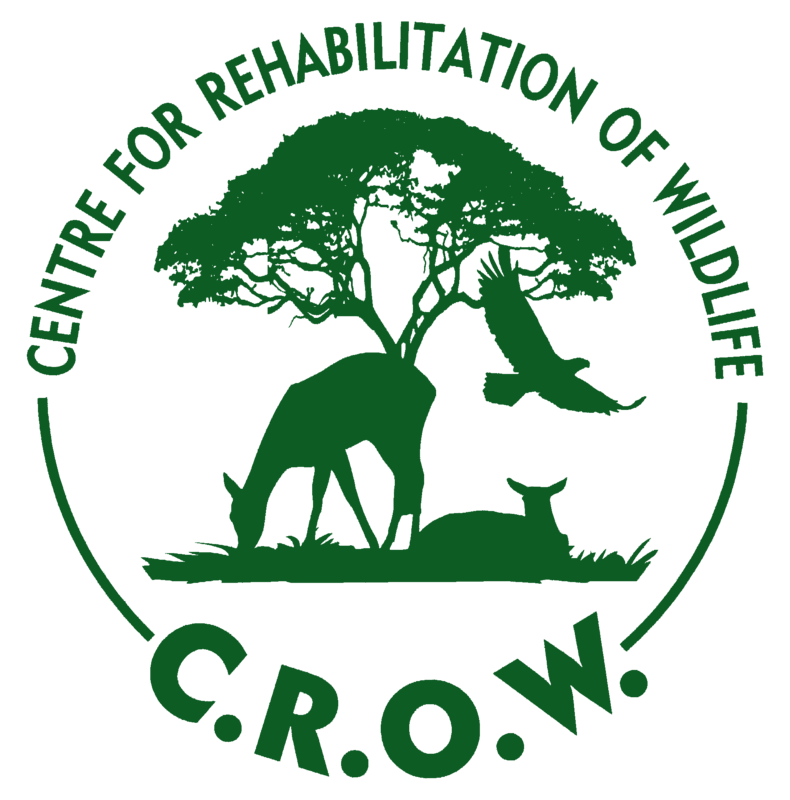 The increase in the mortality rate of young birds with bone abnormalities is believed to be a calcium deficiency in their diets since the larger predators that help with the breaking up of the bones are also scarcer. Farmers also bury their dead animals causing even greater food shortage. Shooting because they are believed to have preyed on live sheep. Human disturbance at nesting sites. Birds are trapped and poisoned for the muti market. Some rural tribes believe that since the Cape Vulture mostly feed on very freshly dead animals they must possess an ability to know what is going to happen and by eating the brain of the bird you will gain this same foresight. They actually manage this feat through their amazingly good eyesight. The claw of the bird is also considered a good luck charm. Although Cape Vultures occur in some protected areas, the bulk of the population still occurs outside these areas. Breeding sites should be better protected from disturbance. Simple and inexpensive structures should be erected in reservoirs to prevent the accidental drowning of birds. Vulture restaurants provide poison-free food and bone fragments to adult birds and developing young. Preying on livestock should be investigated in order to gain the support of farmers.